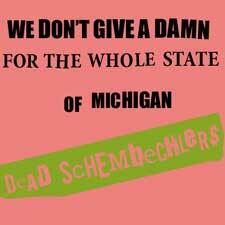 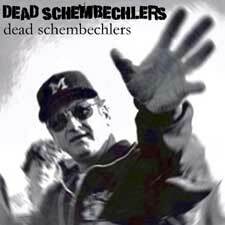 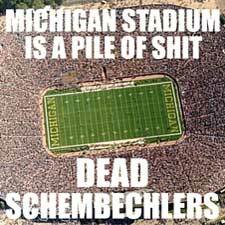 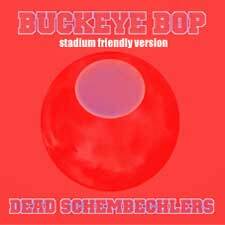 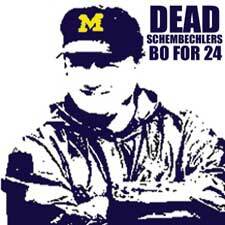 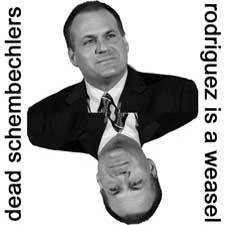 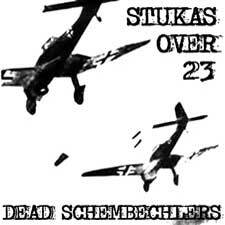 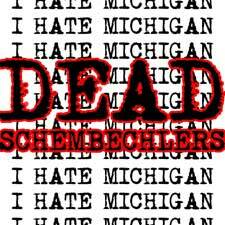 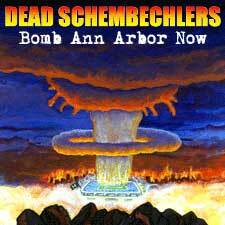 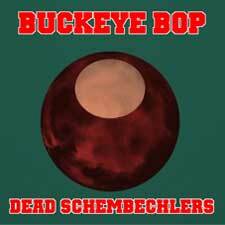 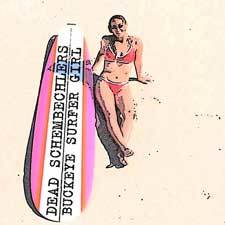 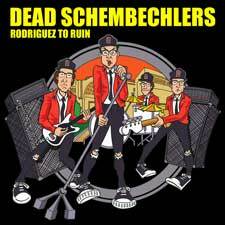 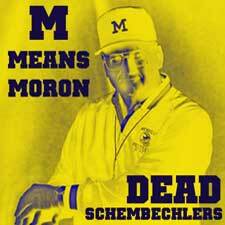 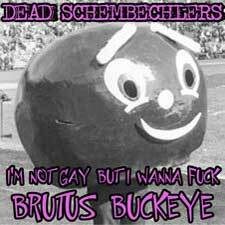 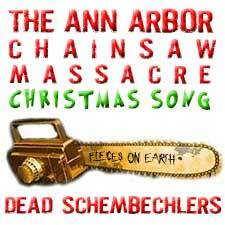 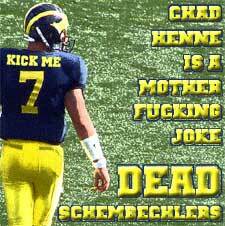 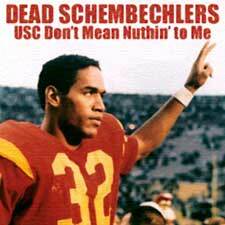 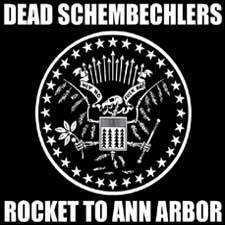 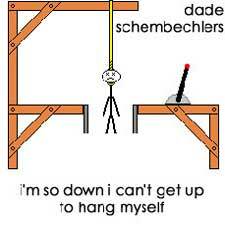 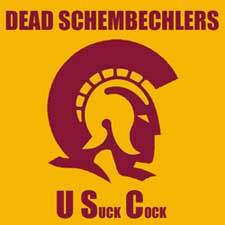 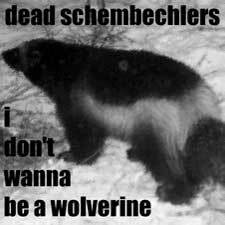 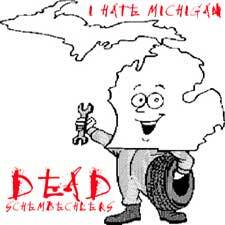 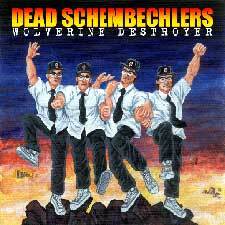 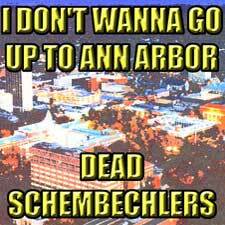 Until the release of their compilation CD "Rocket to Ann Arbor" in November of 2004, Dead Schembechlers only made their music available in the true punk tradition of vinyl 45's. 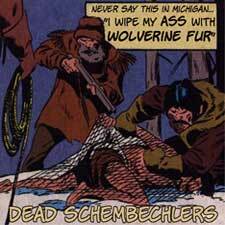 Below, you will see the original artwork for these releases and the title of its B side. 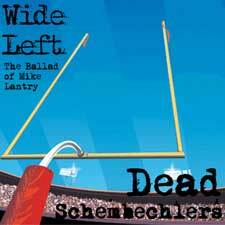 By clicking on the artwork you will be taken to that song's lyric page here on the site. 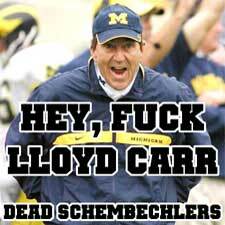 B/W You Lost To Notre Dame Again?